Everprove, the latest innovation in blockchain certification of documents is nearing official launch and decided to win the users’ hearts with a cool Valentine Day pilot campaign. 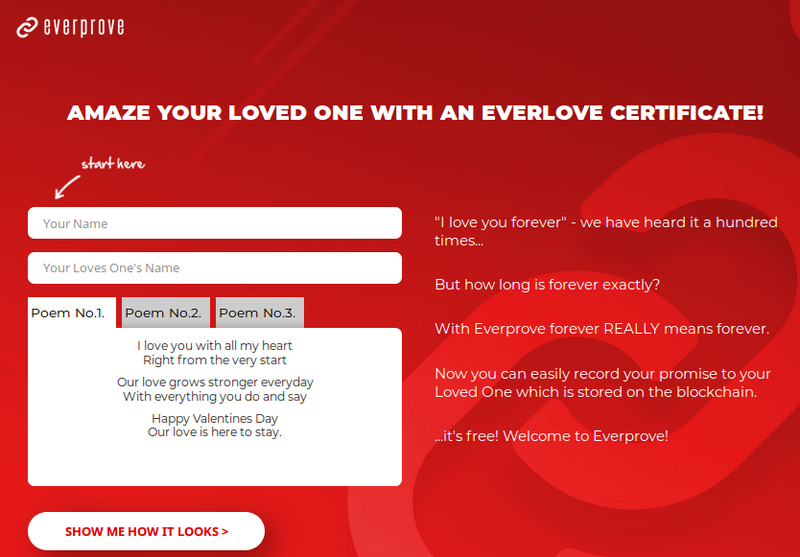 Visitors of the site https://love.everprove.com can create sweet “EverLove Certificates” in a few easy steps and email it to their valentine – all done in a minute or less. The magic happens in the background, as blockchain registration is performed within 3 seconds and the document may be swiftly and fully retrieved directly from the distributed ledger by a scan of a heart-shaped QR code. 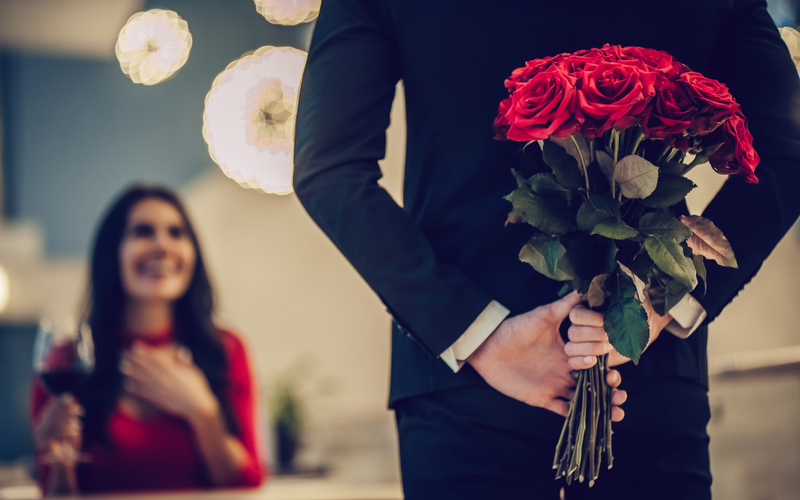 “We wanted to make some noise while publicly beta testing our platform, and the nearing Valentine Day looked like a perfect opportunity”, said Zoltan Toth, co-founder, and CEO of the startup venture. 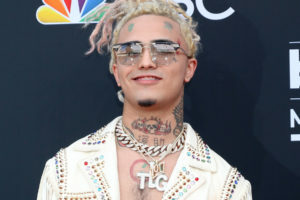 “​The idea of EverLove Certificates started as a way of inviting people for a test run, but in the meantime, we got to love the idea so we decided to periodically repeat the campaign on other special occasions”. Everprove is joining a number of recently launched blockchain notary platforms, but they are also raising the stakes with true innovation. “​We clearly step ahead of the game by not just burning hashes onto the ledger. Our blockchain-certified documents are completely stored on the ledger, and they may be retrieved anytime by a simple scan of a QR code. No other venture is currently doing that, or at least we do not know any of such.”​ said Zoltan Patko, who is a co-founder and CTO of Everprove. The venture is going to offer solutions for various use cases for both end-consumers and businesses. On its website – which will launch in March – customers will be able to draft professional contracts from easy-to-use templates or to upload their ready-to-go documents. An HTML editor is also going to help clients to shape the documents according to their preference. After finalizing the draft, blockchain registration takes only 3 seconds, and the registered document will be readable forever directly from the ledger through a QR stamp. “Educational institutions like international colleges are a very important target for us. Just imagine, if your college degree was issued by a German college certified with our Everprove QR stamp, then you would be able to immediately prove its authenticity in any part of the world during an interview. But our technology could well serve international law firms, companies or institutions where the immediate and tamper-proof crossborder validation of documents are vital in daily operations. The recent years showed the power of blockchain technology. Generic, real-life utilization of the distributed ledger will be the next big thing, and Everprove is among the good examples of how the power of blockchain tech may be harvested. More details on Everprove are available on their website www.everprove.com.